The other night at the bookstore I picked up a copy of the 1942-1951 notebooks of Albert Camus (published by Ivan R. Dee, Chicago, 2010). I had never read anything by him, but he jumped off the shelf because I remembered a friend’s debate over the correct pronunciation of his name. Camus and I were instant friends. His notebooks are just idea journals—collections of quotes, philosophical snippets, plot sketches, musings, etc. He changes to a new topic or train of thought every few paragraphs, sometimes dwelling longer on an idea that needs time and space to develop. I relate to this style. Pastiche is the way I create, and I keep numerous such journals. I love jumping around, turning diverse ideas around in my mind, riffing on themes and easily shifting directions. I also enjoy obsessing about an idea, absolutely focusing all my creative energy on it until I write it out, which often takes years, lots of research, and lots of reflection. 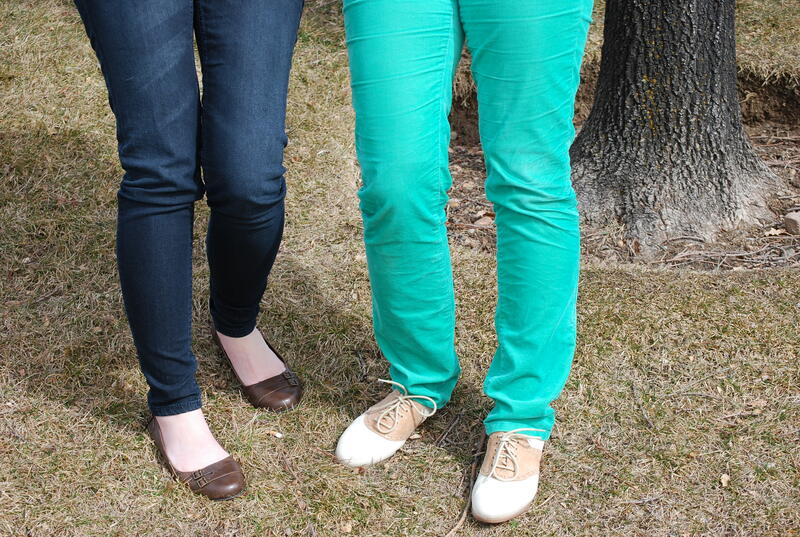 In her last post, Amanda wrote about her quest for a pair of the trendy, yet elusive-for-her-legs, skinny jeans. I happily report that, despite her reservations about her calves, she was successful. Aren’t they cute?! And, I found some, too. I think based on this outfit I might be considered one of those Mormon hipsters. Ah, well. I never knew I had fat calves until I tried on a pair of skinny jeans. I tugged on the jeans – trying to get them over the bulges of my legs. When I finally did, it was to no avail. Pants that were big enough to fit over my calves were way too big in the waist. 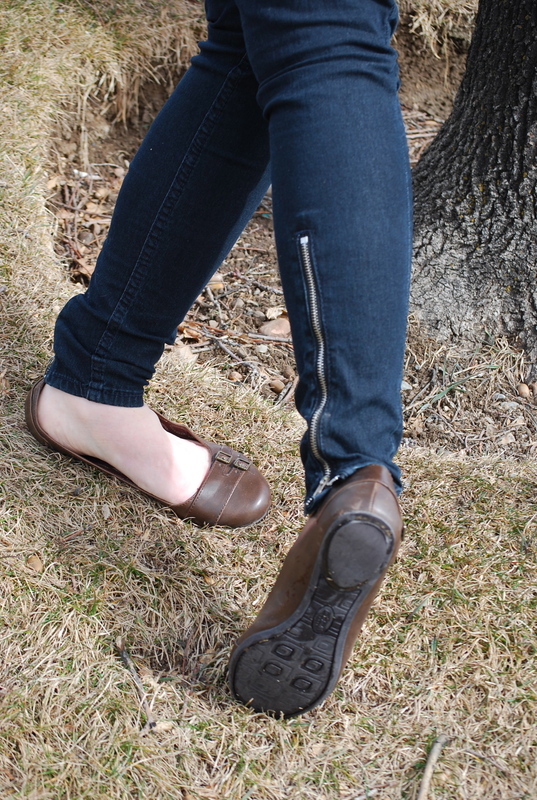 I had never realized that I had fat calves before – it had never been an issue because the skirts and jeans that I had worn had never fit them closely or required them to be a certain size. I soon discovered that the boots also in fashion were equally difficult to fit to my body. Since then, I have been slightly uncomfortable with my fat calves and chubby knees. Unfortunately, these areas of the body have proven to be especially unyielding to exercise. During my divinity school years, I alternately made quite a few small carry-all bags and stuffed monsters of my own design. The latest incarnation of this creative impulse is decorative pillows in whimsical shapes. So far I have made a leaf, an apple, and a pear, and right now I am working on a commissioned piece. Sporadically I will try to sell my things, but I end up just giving them as gifts or objects of my affection to friends and family. I always used to tell myself that sewing was a dying art that my mother practices (she made clothes and costumes for me growing up; she quilts; she sews pillows) and that my sister would carry on (she creates marvelous embroidered samplers that hang all over our house) in our family. But I have discovered that I must create things or go crazy. Well, go crazier than I am. So, I create! And, I also enjoy thinking about carrying on the tradition of sewing in my family. Most of my crafting is done in solitude with minimal collaboration. So many networks of communication are being created every minute, but so many of those networks are virtual rather than actual or physical/tangible. Although I do not necessarily long for the days of quilting bees, I do desire to have relationships that are signified by material means (one of the reasons I like writing letters so much). I desire to create those relationships and have an object that shows how a group of people come together to create something beautiful. Now to the point. 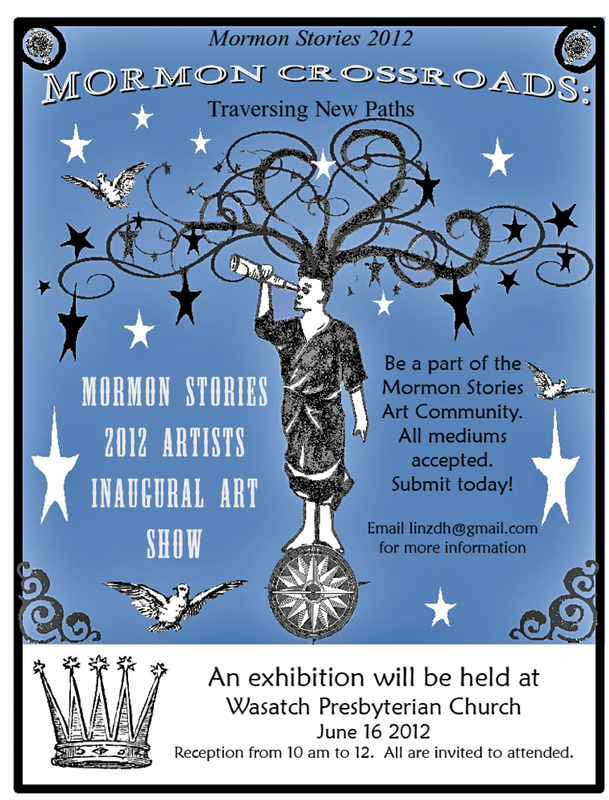 This year’s Mormon Stories Conference, themed “Mormon Crossroads: Traversing New Paths,” includes an art show, which is open to professionals and amateurs working in all media. I would like to submit a piece, but it’s one that I’d like to be collaborative, along the lines of Relief Society album quilts of days of yore. In the next few weeks I’ll be designing a quilt, more properly an applique blanket, in the shape of the tree of life. Each leaf will be the individual creation of a different seamstress, and I’ll create a small-scale map of the tree showing who created each leaf. You buy the fabric and fashion the leaf, and we’ll sew the pieces all together on a Saturday afternoon. 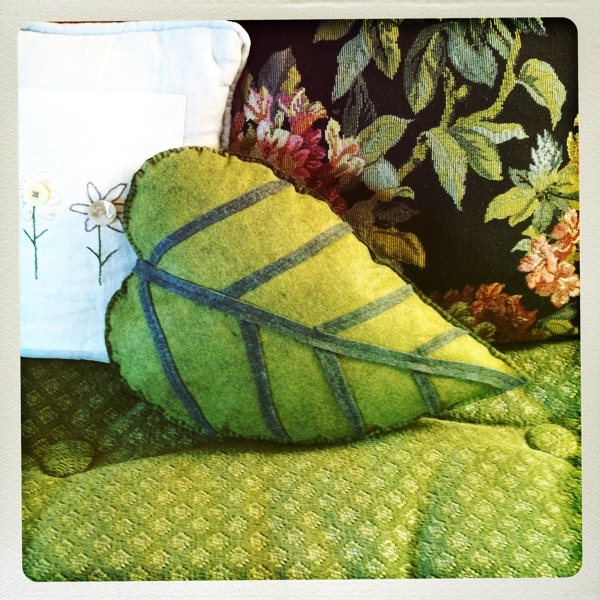 If you can’t be there for the quilting, you can just mail your leaf to me and I’ll add it to the quilt. If you are interested in being a part of this project, join the Mormon Stories Album Quilt Facebook group I created. There you will find the pattern (when created) and more details. Our new path will be preserving the material heritage of Relief Society sisters past and reinventing it in a digital age, a network of bloggernaccle sewers near and far. Bon courage! So Liz , inspired by the Juvenile Instructor, initially challenged me to write a blog post detailing all the great feminist books that had been published this year. I happily agreed and then quickly realized that I hadn’t actually read enough feminist books that had been published this year to make a full list. Gender historian – FAIL! So instead I present a list of the best books that I have read this year – whether fiction or nonfiction, feminist or not. They are in no particular order. Julian Barnes, Arthur and George – Shortlisted for the Booker Prize, this novel explores the friendship between Sir Arthur Conan Doyle and George Edalje, the son of a Parsi vicar in the Midlands. Edalje was falsely convicted of slashing ponies in 1903. Barnes’ recreation of the trial and Doyle’s subsequent attempts to prove the innocence of Edalje brings up themes of national pride, spiritualism, race, and religious belief all while being set in late Victorian and early Edwardian England. Lauren Willig, The Secret History of the Pink Carnation – Most of my friends had already read several of Lauren Willig’s romance novels. Willig was originally a graduate student in the Harvard history department before she dropped out of her program to become a lawyer and eventually a novelist. Her books, of which this is the first, delight in combining historical detail with bodice ripping romance, and each novel is centered on the story of a young English girl who has happened the safety of her home to become a spy in Napoleonic France. The novels are also framed by the story of a female graduate student at Harvard who is slowly uncovering this story as she reads the letters, diaries, and papers the women left behind for her doctoral dissertation. The young girl, Willig’s Mary Sue, of course, has a dashing romantic interest of her own. Think A.S. Byatt’s Possession – only deliberately girly and more fun. Elizabeth Elbourne, Blood Ground: Colonialism, Missions, and the Contest for Christianity in the Cape Colony and Britain, 1799-1853 – The first academic work on this list, Elizabeth Elbourne’s Blood Ground is an exploration of the work of the London Missionary Society in the Cape Colony. Elbourne argues that historians who have emphasized the dichotomy between indigenous African beliefs and white Christianity have missed the complexity of Southern African history. By the time missionaries arrived in the Cape, she argues, the Africans living there had already been in contact with Europeans for decades. Moreover, the translation of Christianity into Africa was something that required significant changes on both sides. Elbourne’s exposition of British Christianity in the first chapter is also the best that I ever read. Celestine Vaite, Frangipani – One of the things I learned in undergrad is that if you want to feel productive without doing any real work, you should something read something marginally related to your research. Hence, Frangipani by Celestine Vaite. Frangipani examines the mother-daughter relationship between Materena Mahi, the only “professional” housekeeper in Tahiti, and her daughter Leilani. For an American reader, their relationship is tinged with exoticism. Breadfruit trees, Chinese stores, surfing, and dancing with French soldiers all mark it as taking place somewhere different than middle America, but the story between Materena and her daughter is still recognizable and touching. Maya Jasanoff, Liberty’s Exiles: American Loyalists in a Revolutionary World – I read this one in Britain with a different subtitle – The Loss of America and the Remaking of the British Empire – designed to appeal to an audience who still finds the American Revolution a bit unsavory. The book’s description of violence during the Revolution and the effects it had on loyalists is an important reminder that the American Revolution was for many a loss of identity and a betrayal by their fellow colonists and eventually by Britain itself who signed a peace treaty they could not countenance and then, failed to provide them with a sanctuary. The book’s far flung geography, which encompasses India, Jamaica, Sierra Leone, and Nova Scotia, is also a reminder of the far reaching legacies of the American loyalists who colonized much of the world after being chased from their original colonial homes in Boston, New York, and Philadelphia. Want to hear a lute and a lovely voice covering Jeff Buckley’s “Hallelujah”? This is for you. 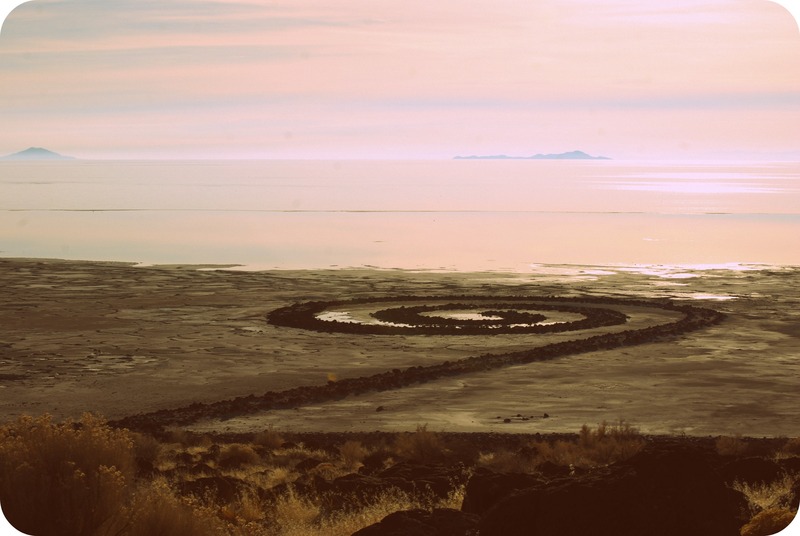 Over the summer I was so blessed to have Sunstone and Exponent II sponsor the exhibit I put together featuring essays and heirlooms from Mormon women. Now I am doubly or triply or quadruply blessed to have Exponent II publishing those essays and heirlooms plus a few more in book form! 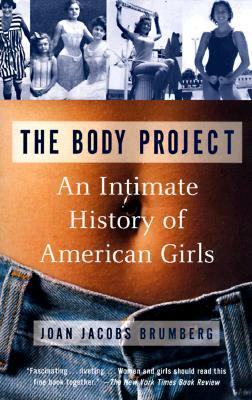 It’s a wonderful bit of women’s history and features such women as Laurel Thatcher Ulrich, Margaret Toscano, Jana Reiss, many Exponent II women, and others writing about items they have inherited from their female ancestors. Perhaps I’m biased, but I found the essays uniformly touching. They get at the heart of women’s relationships by exploring their material connections across generations. It’s a historical project upon which I hope others will be modeled, documenting the legacies of women who shape lives in thousands of acts every day. 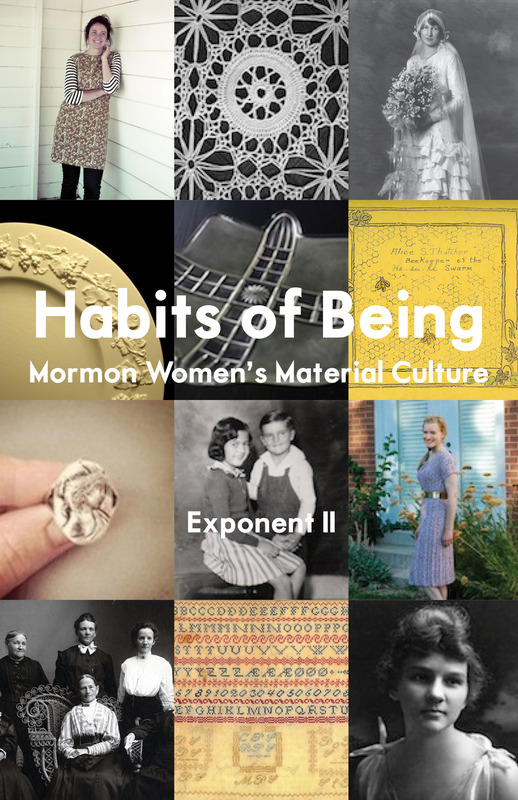 Habits of Being: Mormon Women’s Material Culture is the first book Exponent II has produced in thirty years, and all proceeds will help to print the books and support the organization, which, let’s be honest, Mormon feminists couldn’t do without! So, please order a copy (you get a 15% discount until March 31) and please subscribe to the magazine! The books will be out in time for Mother’s Day and would make a very nice gift indeed. 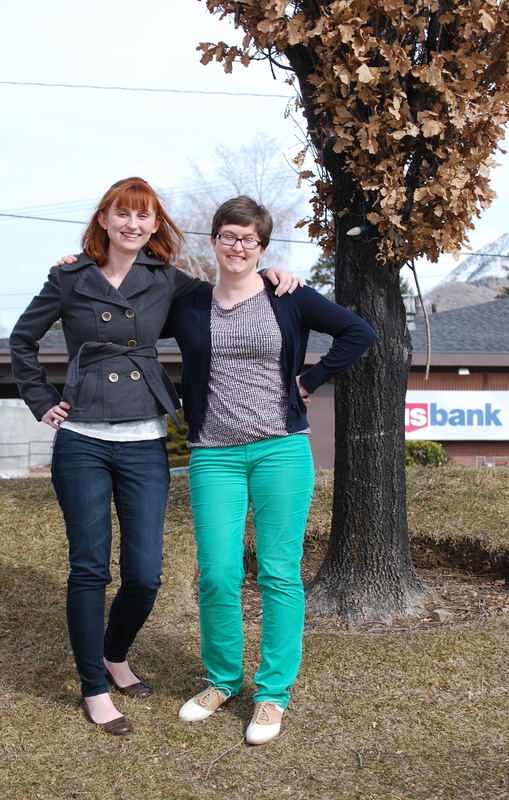 Women of Faith in the Latter Days, vol. 1, released today! 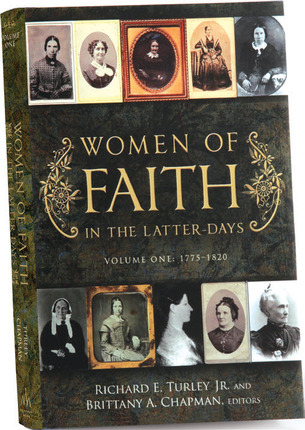 So, this is just a reminder that volume 1 of Brittany Chapman and Rick Turley’s Women of Faith in the Latter Days is being released today. Hop on over to your local Deseret Book and check it out! And, consider contributing to the series. Submissions are open for the third volume, covering women born between 1846 and 1870. Hip hip hurrah for what promises to be the beginning of a monumental contribution to women’s history and LDS church history. I can’t wait to get my hands on a copy.